The beauty of the American West has long attracted artists and at the turn of the century, both artists and tourists were drawn to the distinctive geography of Colorado Springs. The Fine Arts Center’s story begins as a burgeoning art colony at the foot of Pikes Peak. Colorado Springs founder Gen. William Jackson Palmer had envisioned a city he nicknamed “Little London” — an oasis of culture and refinement amidst the untamed rugged landscape — and from 1919 to 1935, artists from around the country streamed in to make that happen. 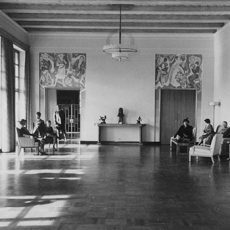 In the former home of philanthropists Julie and Spencer Penrose, they established the Broadmoor Art Academy (BAA) with a vision of creating a new art school of national stature. 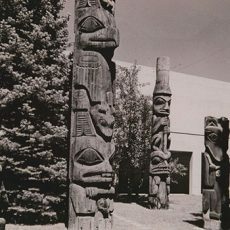 The BAA represented the long-held dream of an art school that emphasized easel painting and served the community by hosting music recitals, drama and dance performances, and art exhibitions. 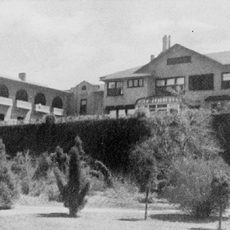 Bordering Monument Valley Park, the former Penrose estate provided an ideal location for an art school, offering a spectacular view of Pikes Peak and in close proximity to other attractions that encouraged en plein air painting such as Garden of the Gods and Cripple Creek. Colorado Springs rivaled Taos and Santa Fe for its dynamic arts scene and ability to attract high caliber artists including Ward Lockwood, Birger Sandzen, Charles Bunnell, Lawrence Barrett, Frank Mechau, Adolf Dehn, Laura Gilpin, Lew Tilley, Archie Musick, and Mary Chenoweth. 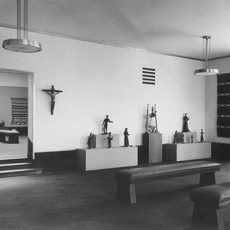 By the 1930s, the local art colony had become a major force in art instruction and national art activity. 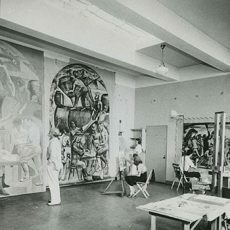 Muralist, cartoonist, and illustrator Boardman Robinson from the Art Students League of New York joined the academy and took the helm as director in 1931. Instructors during this decade also included Willard Nash, Ward Lockwood, Kenneth Adams, Tabor Utley, Laurence B. Field, Ernest Fiene, Warren Chappell, George Biddle, Paul Burlin, Charles Locke, Henry Varnum Poor and Frank Mechau. These instructors taught inside the Penrose mansion, in the field in Monument Valley Park, Garden of the Gods, and elsewhere. Students would take five-hour long “Life Classes” five days a week. 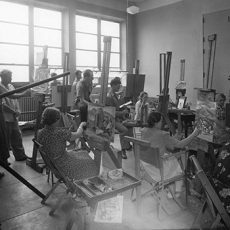 During this time, Robinson, Mechau and other BAA instructors and students were commissioned to paint many Works Progress Administration (WPA) murals. 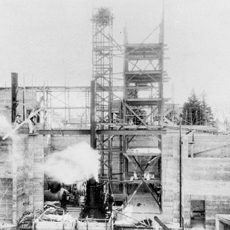 In fact, it was Broadmoor Art Academy instructor George Biddle who wrote to his former classmate, Franklin Delano Roosevelt, proposing a program for artist relief through murals. 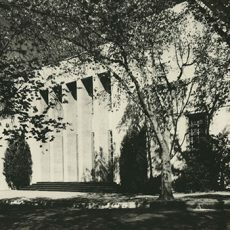 With the school becoming recognized for Robinson’s style of American Regionalism, it attracted well-known national artists and the BAA outgrew the Penrose’s former home. 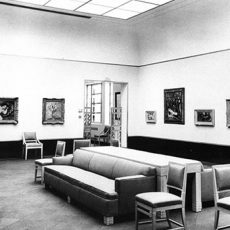 The Broadmoor Art Academy was the cultural heart of Colorado, home to not only an art academy but also the local Drama League. The initial shock of the barefoot Martha Graham spectacle gave way to a summer season of more palatable, professional shows. The FAC’s ambitions took a leap forward with a series of blockbuster art exhibitions featuring Dale Chihuly, Andy Warhol and Peter Max.